Iida and I share the following news with great sadness in our hearts. This afternoon we learned that Larry Lauri Heinrich Saukko, past dean of Salolampi and former staff member of Waldsee, passed away last night in Duluth, Minn. 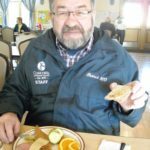 He possessed immeasurable gifts of music, language, culture and culinary arts that he shared freely with all of us at Concordia Language Villages. His healthy dose of wit and humor always kept us on our toes. In essence, he was a Renaissance man…with a home-built sauna on a trailer for good measure. Larry was raised on the Iron Range, and joined Waldsee in 1970 as a member of the first-ever credit program staff. He co-led the German abroad program, was business manager of the Institute of German Studies, and later dean of the Waldsee academic year programs. He was dean of Salolampi for 26 summers from 1986 through 2011, so during the development of the Salolampi facility as it is today. 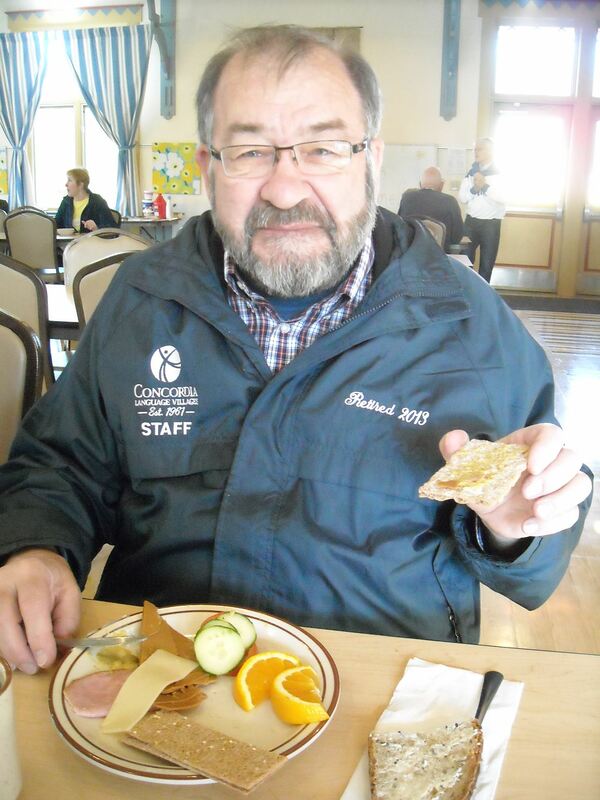 Larry led the German and Finnish adult sessions for many years and finished his career with CLV as assistant food service manager, retiring four years ago. The outdoor dance pavilion at Salolampi bears his name, as this was the installation marking his 25 years on staff. The path between the tanssilava and Cabin 1, Karjala, is also called “Laurinpolku” in honor of his retirement and love of outdoor learning. Lauri will forever remind us of the importance of keeping the language of one’s heritage alive in song, word and in spirit. Just this fall, in collaboration with Iida and others, Lauri completed the third volume of OPI (pronounced ohhpee), a compilation of definitions and explanations of Finnish words and phrases just off the press within the last week. These booklets are based on Lauri’s many articles on the same subject in the Finnish American Reporter. Larry’s life will be celebrated this Saturday, November 17, in Eveleth, Minn., with visitation starting at Noon, a memorial service at 1 PM, followed by a luncheon. Fall Work Weekend is right around the corner mark your calendar for Sept 21-23 and RSVP below. To learn more about work weekends click here. Spring 2017 Sanomat now available! Join us this October for this new offering featuring cultural immersion in Finnish culinary arts and handcrafts. Yes, you too can make Finnish food and crafts at home! Bake classic Finnish treats like pulla, Karelian rice pies, rye bread, and spoon cookies. Cook dishes such as salmon soup, Nordic grain salad, and Finnish market meat pies. Handcrafts will include the use of our looms, basic or more advanced yarn projects and holiday favorites. Our saunas will provide additional inspiration and reflection time for participants. Where: Salolampi Finnish Language Village, Bemidji, Minn. Cost: $195 for adults; $155 for children 4-18. Children 0-3 are free. Note: While this program is geared toward adults, youth programming for families with children will be available upon request. OPI 1 & 2 Now Available! OPI Volume 1 and 2 by former Salolampi Dean, Larry “Lauri” Saukko is based upon monthly “OPI” columns published in the Finnish American Reporter. 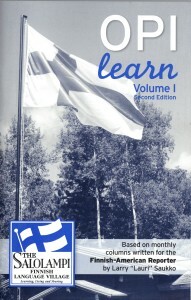 The book includes 52 one-page chapters, some based on themes, some on random collections of sentences, where readers can learn many interesting Finnish sentences and phrases and also test their knowledge of English to Finnish or Finnish to English. Click here to purchase Opi Books thru the Concordia Language Villages Website. Kiitos!